Orbisius CyberStore Extension: allows you to switch to a PayPal Micropayments account if the amount is $11 or less. That way you'll save a lot of money. 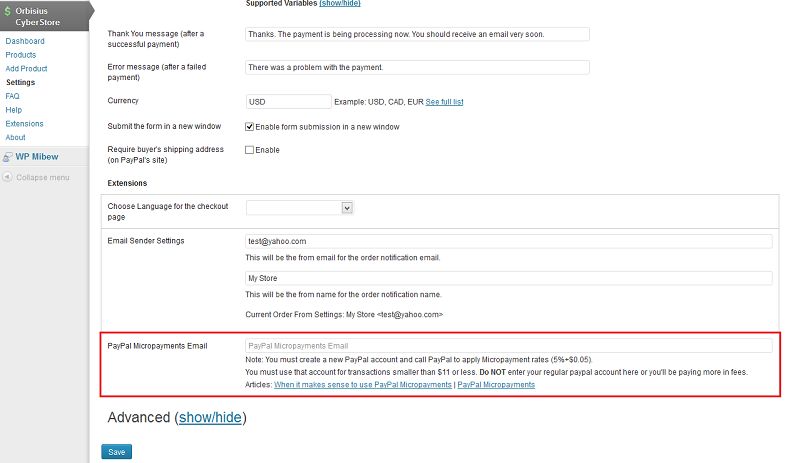 Requirements: You must create a new PayPal account and then call PayPal to apply Micropayment rates (5%+$0.05). You must use that new account for transactions $11 or less.